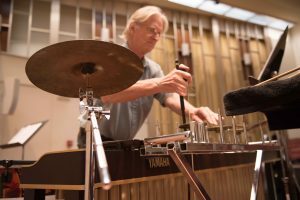 John Magnussen is known throughout the Los Angeles area as a top performer in many aspects of percussion. He has appeared as a soloist with the American Winds at the Hollywood Bowl and with the Los Angeles Philharmonic at the Ojai Festival. Although often known as a specialist in mallet percussion, he can be heard and seen playing anything from timpani to Latin Percussion. His jazz vibraphone playing can be heard on many albums with such artists as Sarah Vaughn, Jim Self and Richard Greene. He has appeared on stage with many great artists including Annie Lennox, Kiri Te Kanawa, Johnny Mathis, Mel Torme, Liza Minnelli and David Brubeck. John plays as an extra percussionist with the Los Angeles Philharmonic where he has performed under such conductors as Pierre Boulez, Zubin Mehta, John Williams, and Esa-Pekka Salonen. His recording credits include the L. A. Philharmonic and many albums, CDs, films, television commercials and cartoons (including “The Three Tenors” and the Austin Powers movies). In addition to his busy studio and performance career he teaches percussion at CSU Northridge and runs the occasional ultra-marathon. 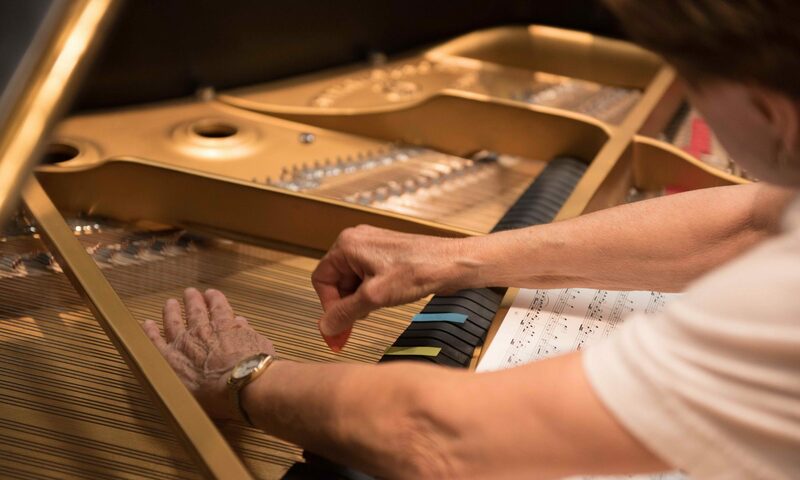 John’s faithful companion Deagan (a Cavalier King Charles Spaniel) is named after the famous xylophone builder and will often accompany him to Chamber Orchestra rehearsals, where he sleeps behind the timpani.